Mussel Festival returning in St. Lunaire-Griquet this weekend! Last year, residents in St. Lunaire-Griquet started a community development initiative to host a mussel festival, a fitting name given the Town is the only site of aquaculture on the tip of the Great Northern Peninsula. I enjoy eating the locally grown mussels from our restaurants in St. Lunaire-Griquet & Gunner’s Cove. Northern Delight and the Daily Catch are two fabulous dining establishments. 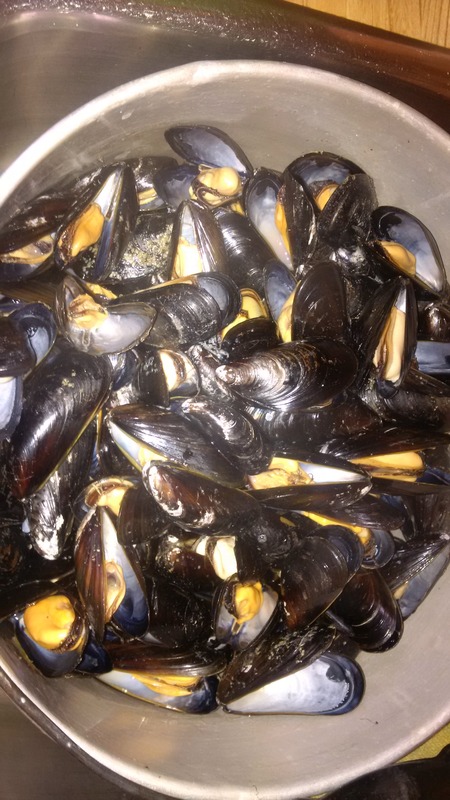 Mussels can also be purchased at Burden’s General Store or Hedderson’s Store (out of town mussels can be found at Grenfell Memorial Co-op, St. Anthony and through Gloria Barrett, Black Duck Cove). One gets great value from buying 10 lbs for $15.00. Buying mussels supports our local economy, it creates and maintains employment and leads to other economic opportunities that supports our small business and the non-for-profit community. St. Anthony Basin Resources Inc. (SABRI)’s initiative has positive impacts on the 16 communities of Cook’s Harbour to Goose Cove and even the greater region. One can see the schedule of events below of this year’s planned activities for the Mussel Festival in which I am delighted to attend the official opening. The volunteer committee has given many hours of their time and have worked with other groups such as the Firettes to help raise needed money for the volunteer fire department, as well drawing upon local talent and events for all ages. They deserve to be recognized for their hard work and dedication to creating new opportunities in their small town. I would encourage local residents of the Great Northern Peninsula and visitors to the region to enjoy a fun filled weekend at the Town of St. Lunaire-Griquet and of course, get a fine feed of mussels. Posted on August 14, 2014, in Business, Community Economic Development, Cuisine and tagged business, community, festival, Great Northern Peninsula, Mussel, Newfoundland, Rural, St. Lunaire-Griquet. Bookmark the permalink. 1 Comment. Thanks Chris for the plug. Looking forward to seeing you on Friday.